Here is a brief look at some titles that recently arrived at Eye’s Shoreditch office. A chapter on ‘Technology and craftmanship’ includes a quadruple gatefold displaying a cross-sectional diagram of the continuous paper-making machine invented in 1798 by Louis-Nicholas Robert. The production process is not hugely different from that of contemporary paper mills – give or take a little industrialisation and computerisation. 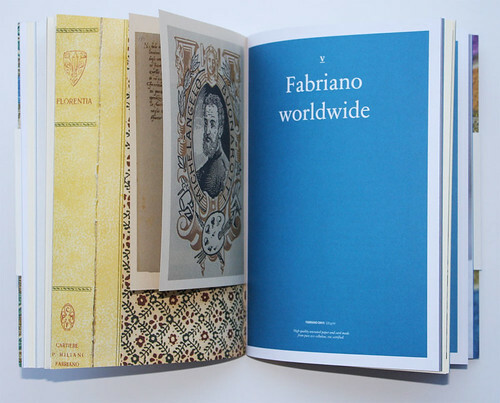 Printed by the family-owned Intergrafica Verona, Rags, Rabbit Skins and Invisible Watermarks makes use of nine different Fabriano papers. This insert, on 95gsm Rusticus Sabbia paper, is a reproduction of one of Michelangelo’s letters to his friend Niccolò, asking him to get rid of an unwanted apprentice. Top: MA graphic design student Jan Rutten’s posters for political parties in Who’s Next? The quadruple gatefold showing a diagram of a paper-making machine first patented in 1798. 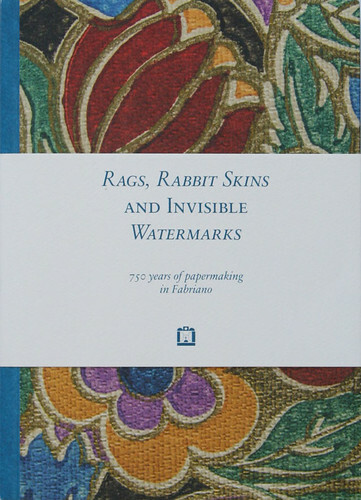 Cover of Rags, Rabbit Skins and Invisible Watermarks: 750 years of papermaking in Fabriano (Edizioni Corraini, €29.50), edited by Chiara Medioli. Design: Pitis (Massimo Pitis, Andrea Amato and Federica Marziale). Who’s Next? (YellowPress) is a master of visual arts publication from Sint Lucas University College of Arts and Design in Antwerp, who were conference partners for Integrated 2013 where the book was launched (see ‘Insanely integrated, day one’ on the Eye blog). The book, printed in English and Flemish, is designed by TurboTurbo, two Sint Lucas graduates Maxim Leurentop and Stig De Block, in collaboration with Integrated founder Hugo Puttaert (Visionandfactory) and Boy Vereecken (Yellowpress). Student work ranges from book illustration to conceptual photography, and includes interesting projects by graphic design students such as Valerie Machtelinckx and Jaryth Smaal’s CreativeCommon book, a collection of photographs of DIY design objects – bicycle tube lamp, brass table, 24 Euro Chair – that respond to the economic crisis and ‘the growing popularity of sustainability’. 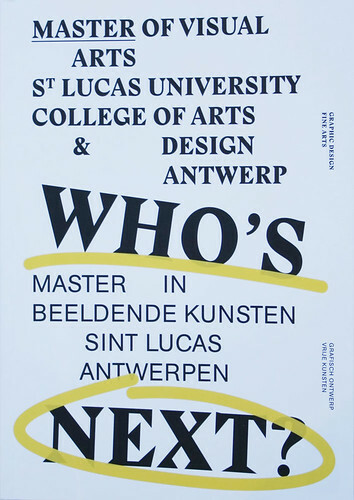 The Flemish text in Who’s Next? is set in Ag Book by Günter Gerhard Lange and the English, in Stanley (bold and italic) designed by Ludovic Balland. Designed by TurboTurbo in collaboration with Hugo Puttaert (Visionandfactory) and Boy Vereecken (Yellowpress). 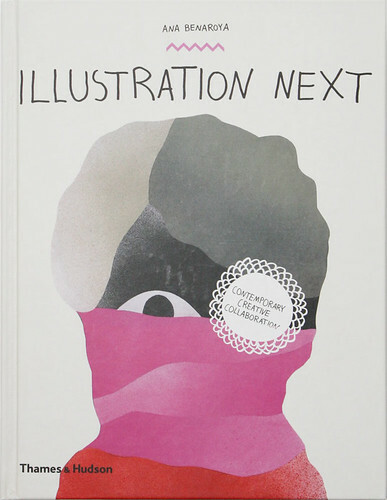 Illustration Next by American illustrator Ana Benaroya (Thames & Hudson, £19.95) is a mixture of published illustrations, personal work and specially commissioned collaborations between 50 illustrators worldwide. The largely visual publication contains 382 illustrations and asks simple interview questions of featured illustrators such as Yuko Shimizu, Paul Blow and Ana Albero (see ‘Books received #4’ on the Eye blog). 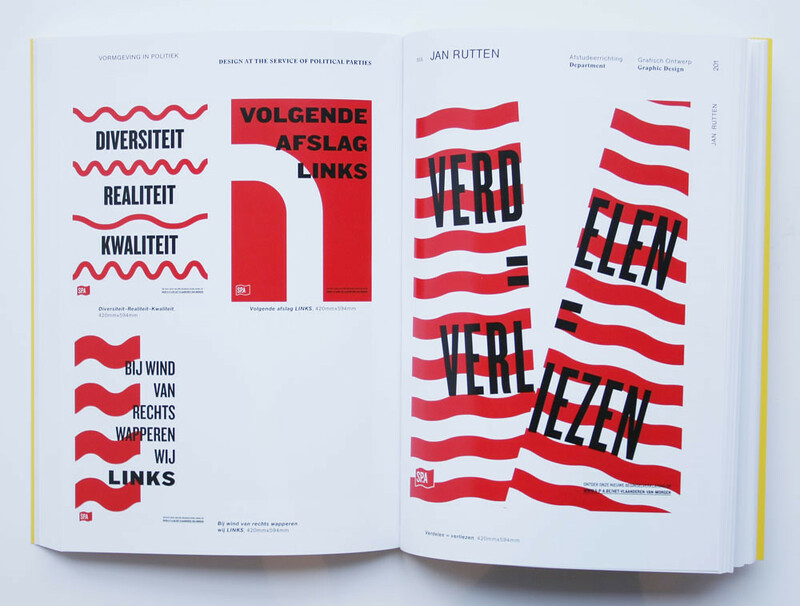 Half of the book, separated by coloured matte stock, pairs contributors that have similar approaches to the discipline together to respond to one word briefs – speed, flutter, temptation, lost, farm, prayer. 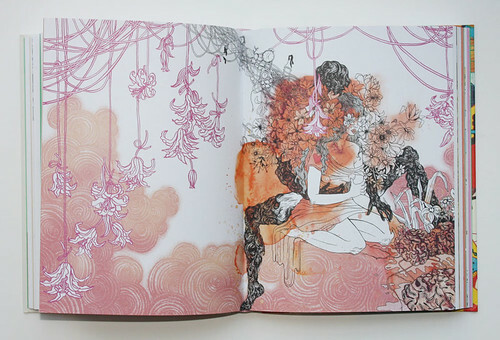 A collaborative piece in response to the brief ‘temptation’ illustrated by Ahu Sulker and Yuko Shimizu in Illustration Next. Cover of Illustration Next by Ana Benaroya (Thames & Hudson, £19.95) featuring a spray-painted paper collage by Swedish illustrator Ekta. 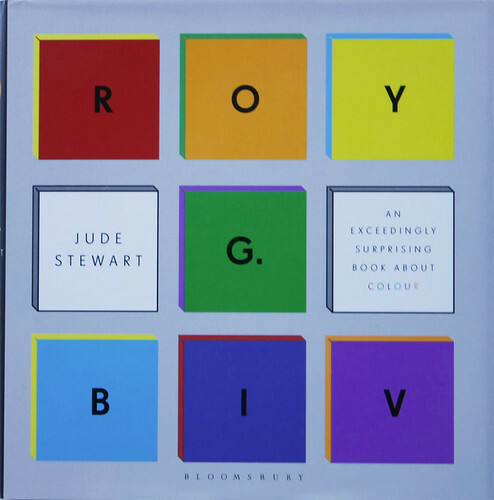 Jude Stewart’s Roy G. Biv (Bloomsbury, £14.99) – the common acronym for red, orange, yellow, green, blue, indigo, violet – is a small-format book that asks a series of curious questions – How do we decode colour? What colour were the dinosaurs? Are green magazine covers really newsstand poison? – and makes factual associations between colours and their significance (for example, only 26 country flags do not contain red). It is a mixture of colour theory, history and illustration, infused with the author’s exuberance for the seduction and energy of colour. Cover design by the Oliver Munday group (OMG). 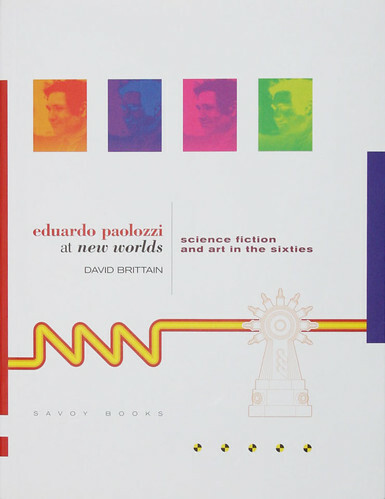 In Rick Poynor’s introductory essay to Eduardo Paolozzi at New Worlds: Science Fiction and Art in the Sixties (David Brittain, Savoy Books, £17), the science fiction magazine New Worlds is referred to as ‘a challenging graphic object’, worthy of closer consideration by design historians. Under the editorship of Michael Moorcock (1964-1971), New Worlds became a kind of avant-garde magazine and as of 1967 Paolozzi became its official artist, given the title ‘Aeronautics Advisor’. The magazine featured forms of ‘visual literature’ or ‘diagrammatic texts’ by designers and artists such as Charles Platt and J. G. Ballard. David Brittain analyses Paolozzi’s prints in depth; works such as Moonstrips Empire News are associated with poems by Mallarmé and Apollinare which ‘repel habituated reading’. 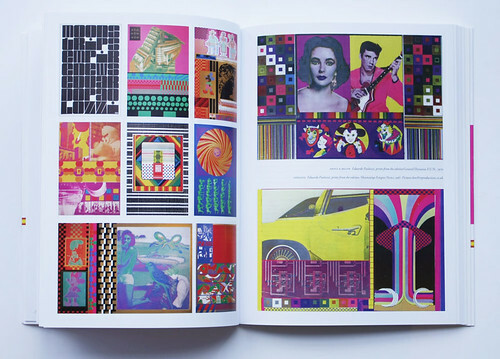 Spread featuring Eduardo Paolozzi prints from Moonstrips Empire News, 1967 (left) and prints from the edition General Dynamic F.U.N., 1970 (right). Eduardo Paolozzi at New Worlds: Science Fiction and Art in the Sixties by David Brittain (Savoy Books, £17). Designed by John Coulthart.